SENSUALITY AND NATIONALISM IN ROMANTIC BALLET reveals intriguing facets of 19th century ballet that illustrate innovations far beyond our common understanding of this era. This picturesque period of ballet offered a revolutionary focus highlighting the stories and characters of everyday people, inspired by a combination of dynamic influences from ‘national dance’. 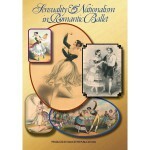 The colorful ballet of this era, bridges the gap from the opulence of Baroque dance, to the broadened aesthetics and virtuosic technique of the Romantic Ballet.This DVD program integrates documentary information with restaged dances, based on documentation provided by 19th century dance literature and iconography. The dances include the signature dance of the famous ballerina, Fanny Elssler and works by the choreographer, Henri Justamant, a French ballet master who left notated scores of more than 100 ballets and divertissements. 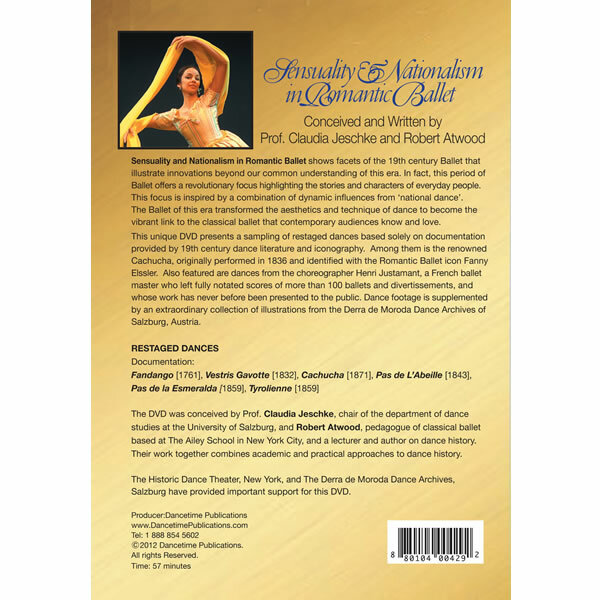 Restaged dance footage is supplemented by an extraordinary collection of illustrations from the Derra de Moroda Dance Archives of Salzburg, Austria.This DVD is conceived and written by Professor Claudia Jeschke – Chair, Department of Dance Studies, University of Salzburg, and Robert Atwood –ballet teacher, The Ailey School in New York City. 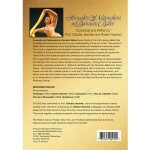 A solid choice for music history and dance collections, this is recommended. This is re-creation of a Fandango from Christoph Willibald Gluck’s ballet, Don Juan ou le Festin de pierre, originally created in 1761 by Gasparo Angiolini. This dance was restaged from the notated score “Vestris Gavotte”, published in Théleur, E. A., Letters on Dancing, London 1831. This dance is restaged from the notated score “Cachucha”, published in Zorn, Friedrich Albert, Grammatik der Tanzkunst, Leipzig . The dance has been reconstructed by Ann Hutchinson Guest. The following is a re-creation of the famous “pas de l’abeille” from the ballet, La Péri, composed in 1843 by Theophile Gautier and Jean Coralli. The step material is from the “Pas de la Esmeralda” from the ballet Quasimodo ou la Bohémienne, created in 1859 by Henri Justamant. The “Tyrolienne,” a couple dance from the ballet Quasimodo ou la Bohémienne, created in 1859 by Henri Justamant. Financial support for this project is provided by Historic Dance Theater and The Derra de Moroda Dance Archives, Salzburg. 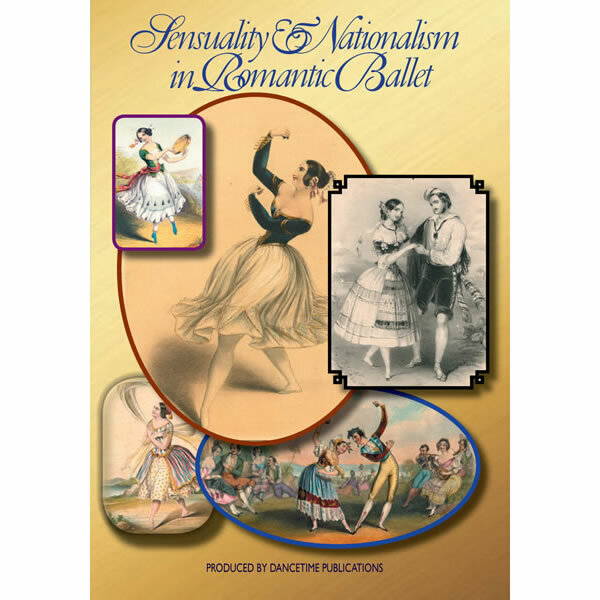 The influences of “national dance” are also considered, in this beautiful documentary and performance enhanced with a collection of stunning illustrations from the Derra de Moroda Dance Archives of Salzburg, Sensuality & Nationalism in Romantic Ballet is beautiful to behold, and enthusiastically recommended for amateur ballet connoisseurs and serious ballet reference shelves alike, especially including college library DVD collections.